We pride ourselves on the quality of our litigation services. 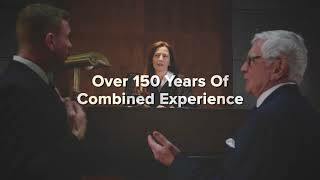 Edenfield, Cox, Bruce & Edenfield is a general practice firm with an emphasis in civil litigation, including practice in the federal court system. The partners in the firm have over 100 years' combined legal experience and handle cases throughout the state. In addition to their legal experience, the firm members are active in local civic and community affairs. Superb attorney, and a proven leader in the State Bar of Georgia. She consistently displays the highest ethics. I have worked with Sharon as co-counsel; her attention to detail is unmatched. She is a zealous advocate and is incredibly thoughtful and analytical in the advice and counsel she gives to her clients. I highly recommend her. Excellent lawyer. Firm, but easy to work with. I have dealt w/ Susan Cox as a litigator for over 20 years. There is no better lawyer within area. She demonstrates highest quality of legal skills. APPROVED ATTORNEYS FOR: Branch Banking & Trust; Sea Island Bank; Old Republic Title Insurance Co.; Farmers Home Administration; Wachovia; Georgia Development Authority; First Bank Mortgage; Citizens Bank; Life of Georgia; Titan Indemnity Co.; Wolverine Equipment Corp.; First American Title Insurance Co.; AgSouth Farm Credit, ACA; Taylor, Bean & Whitaker; Synovus Mortgage Co.; Queensborough National Bank & Trust; Park Avenue Bank. Representative Clients: Farmers & Merchants Bank; Bryan County Board of Education; Bulloch County Board of Education; Candler County Board of Education; Rozier Ford Lincoln-Mercury, Inc.; Bulloch Gin Co., Inc.; Johnston Insurance Agency, Inc.; Johnston Realty, Inc.; Quality Exterminators of Georgia, Inc.; Barnes Lumber Sales, Inc.; Bryan Fishermen's Cooperative, Inc.; Millen Lumber Co., Inc.; Blount, Burke, Wimberley & Hendricks Insurors; Ogeechee Peanut Co., Inc.; Georgia Ports Authority. Local Counsel For: Commercial Credit Equipment Corp.; Cooper Industries, Inc. (Wiss-Porter Plant); NCR Credit Corp.; Insbrok; Orix Credit Alliance, Inc.; Bulloch County Board of Education. Select case type... Adoptions Automobile Accidents Banking Law Bankruptcy Boating Accidents Business Law Business Litigation Business Planning Child Custody Child Support Civil Litigation Civil Practice Closely Held Business Law Commercial Law Commercial Leasing Construction Law Contracts Corporate Law Criminal Law Divorce Drug Crimes DUI/DWI Education Law Environmental Law Estate Planning Family Law Foreclosures General Practice Insurance Juvenile Law Landlord and Tenant Law Leases and Leasing Litigation Motorcycle Accidents Parole and Probation Partnership Law Personal Injury Property Law Real Estate School Law Slip and Fall Small Business Law Taxation Traffic Violations Transportation Trucking Accidents Trusts and Estates White Collar Crime Wills and Probate Wrongful Death Zoning, Planning and Land Use Other Case type is required.